Back in the 70s and 80s Sun City represented all that was bad about South Africa and golf, with top sportsmen from around the world being paid vast sums of money to break the sports boycott that was imposed by the United Nations on the Apartheid regime. 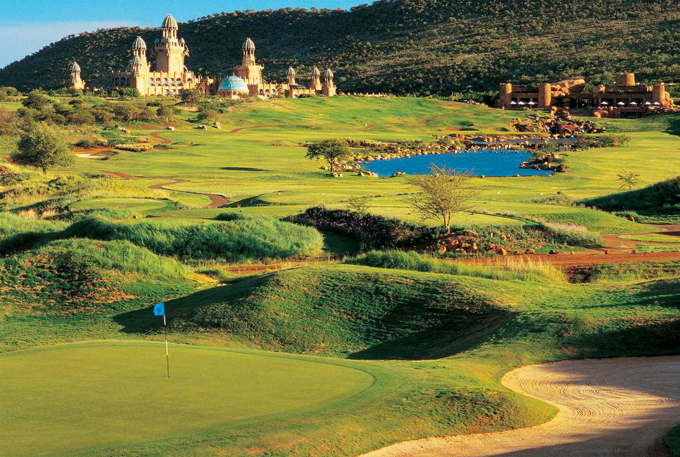 The brainchild behind the creation of Sun City was Sol Kerzner who hired the services of Gary Player, who is probably South Africa’s number one sportsman to design the courses at the resort. With the help of Ron Kirkby, the 7,000 metre (7,655 yard) course was designed with the Pilanesberg Mountains as a dramatic backdrop. The course is currently ranked No.2 behind Leopard Creek in South Africa and also sits in the World’s top 60 courses. The Kikuyu-grassed fairways and bent grass clover shaped greens, strike a wonderful contrast with the more barren thorn-scrub and aloe-covered hillsides through which this parkland course meanders. Generously wide fairways are bordered by tough kikuyu rough and untended African bushveld which together with the tricky greens and strategically placed bunkers constitute the course’s main defences. Water comes into play on five holes, most famously on the par-five 9th with its island green, which is surrounded by waterfalls and artificial rocks. It’s a limited field this week so the odds are not that impressive but here are my choices. A very impressive final round of 62 at last weeks Tour Championship saw Justin Rose 5.5/1 move rapidly up the leaderboard and take the runner up spot. As I stated last week, Justin’s European Tour record this year makes for impressive reading. He’s now competed in thirteen events and has finished outside of the Top 25 on only two occasions, nine of the those eleven tournaments have seen him finish inside the Top 10. That is a fantastic record and don’t be surprised to see him challenging again this week. 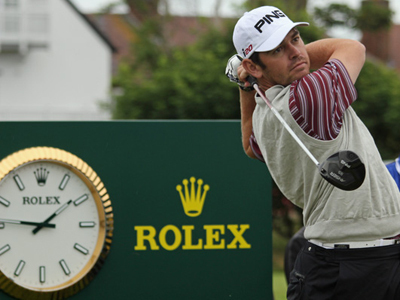 Another player who is having a great year is South African Louis Oosthuizen 5.5/1. Louis’ final round of 69 saw him make the Top 5 at last weeks Tour Championship, which made that his sixth Top 5 finish this year, with two of those being wins. Out of the sixteen European Tour sanctioned events that Louis has played in this year he has only been outside the Top 25 twice. 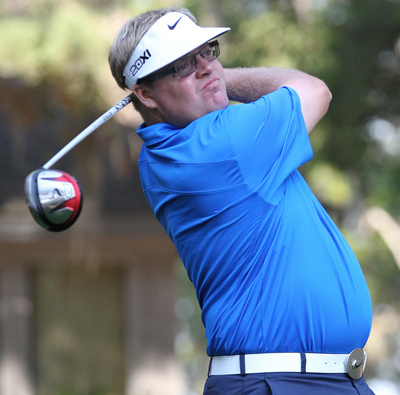 Not really an outside tip at 26/1 but Carl Pettersson has had a good year on the PGA Tour. He’s had ten Top 25 finishes from twenty six starts, with ten of those being Top 10 finishes. 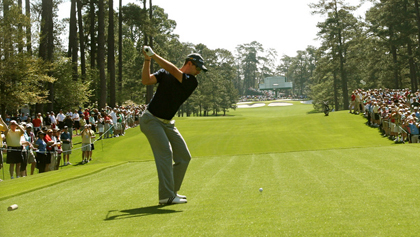 Carl topped that off with a win at the RBC Heritage and seventh place in the FedEx Cup standings.